What if I’m cycling fast in extreme conditions? What if I’m cycling in a wide range of different weather conditions? 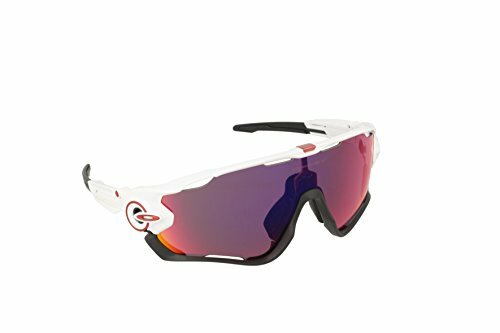 There are a huge number of different types of cycling glasses on the market in 2019, and picking the best cycling glasses can be difficult and intimidating. They are particularly popular at the moment; cycling shades seem very much in fashion right now. You see them in the streets and on fashion models as well as on enthusiastic cyclists. They range from stylish, aerodynamic wraparound designs with a wide field of view to more restrained all-purpose glasses. Any of these designs will fill the same basic purposes: they’ll keep the sun out of your eyes, and protect you from snow, rain, bugs, or wind as you cycle. Picking the right bike glasses for your needs can seem difficult, but this guide should help to make things a little easier. Everyone has different wants and needs from their cycling shades, and the market is wide enough that there’s a pair of cycling glasses out there for every individual combination of requirements. 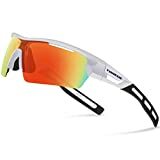 The Oakley Mens OO9290 Jawbreaker PRIZM Sport Sunglasses are made from lightweight plastic, keeping them light and discreet when you’re carrying them around, and so light that they’re barely noticeable when worn. All models of Jawbreaker PRIZM sunglasses offer a full 100% UV protection, and a range of different lens options can be purchased and easily switched out as needed. Polarized, nonpolarized, and prescription lenses are all available, enabling these bike glasses to fit any requirements necessary. 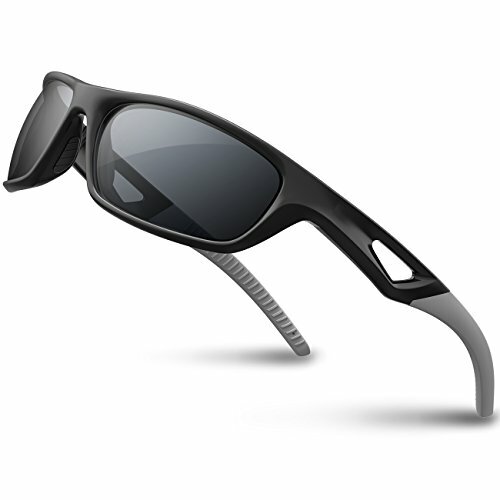 Oakley is a market leader in sunglasses, and this is a reliable and flexible piece of equipment. In addition to this, a soft protective case is included with the sport sunglasses, keeping them safe in transit when you’re not wearing them. Why We Liked It – The light weight and flexibility of the Oakley Mens OO9290 Jawbreaker PRIZM Sport Sunglasses make them an excellent choice for users on the go who might be using them in a range of different conditions. We think you’ll love these padded bike shorts! 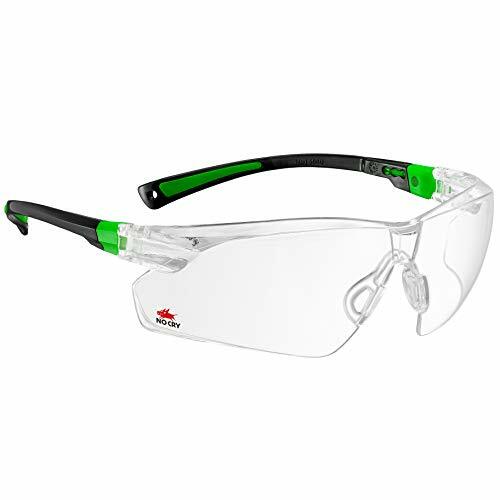 The NoCry Safety Glasses with Clear Anti Fog technology are made from a lightweight, durable polycarbonate material. 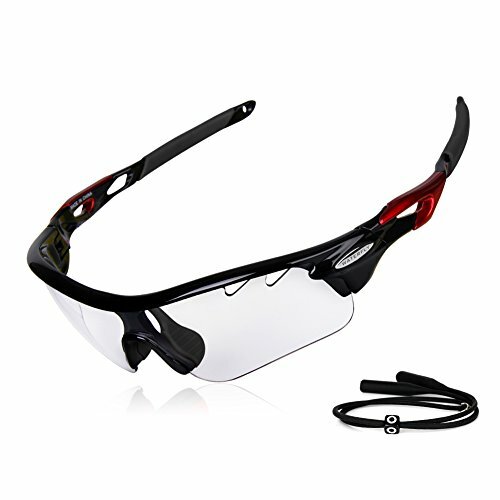 Built to last, these wraparound cycling glasses will protect your eyes reliably for a long time. Untinted, these are focused more on protection from rain, wind, and bugs than from sun, but the coating on the lenses is resistant to scratches, fogging, and glare, keeping your vision clear and unimpeded in a wide range of different conditions, no matter how heavily you use them. The nose pieces and side arms of the NoCry Safety Glasses are adjustable, allowing the glasses to protect any size of the head. Why We Liked It – The lightweight, adjustable nature of the NoCry Safety Glasses with Clear Anti Fog technology ensures that they can be made to fit pretty much any user with minimal effort. They might not offer much visible shading for the sun, but they’re still effective protection from UV radiation. 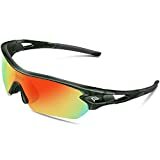 The RIVBOS Polarized Sports Sunglasses are marketed as “unbreakable,” clearly indicating the major selling point of this model. The plastic these are made from is strong and flexible, and these cycling glasses are capable of surviving heavy use and abuse. In addition to this, they come with a hard case, protecting them when you’re not wearing the glasses, and a cleaning cloth to keep the lenses in perfect condition, as well as a soft pouch and strap, making them hard to lose. The polarized lens offers 100% UV protection while reducing glare and restoring true-color vision in situations where many shades offer a tinted vision. Why We Liked It – The sturdy construction and included maintenance bike accessories of the RIVBOS Polarized Sports Sunglasses makes them a tough, easily maintained option for wearers intending on heavy use, while the spring-loaded arms ensure that the bike glasses stay attached to your head during heavy usage. The RockBros Cycling Sunglasses with Photochromic lenses automatically adjust to fit the light conditions around them, darkening in brighter environments and lightening in darker ones to enable clear eyesight without ever switching between glasses as you move between different environments. 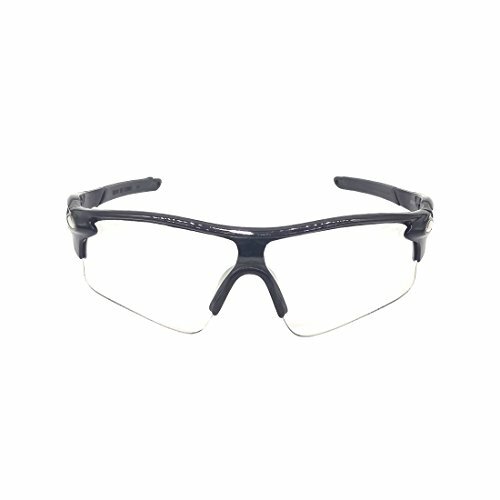 Their frameless construction allows for the greatest possible peripheral vision, keeping you safe and aware of any approaching hazards at your sides. In addition to this, the lenses are extra-thick and non-polarized, offering a shatterproof construction to keep your eyes safe in case of accidents and a scratch-resistant surface to keep your vision as clear as possible. They are ideal for use in a wide range of different situations where eye protection is required, from cycling to sport or driving. Why We Liked It – The photochromic nature of the RockBros Cycling Sunglasses saves on space, time, and effort, protecting your vision in all situations with a single pair of sunglasses and eliminating the need to change glasses or lenses between environments. The W WHEEL UP Cycling Glasses offer photochromic lenses, adjusting seamlessly to fit different light environments. Darkening in brighter light and lightening in dimmer conditions, these lenses eliminate the need for switching glasses or lenses as you transition between different lighting environments, such as indoors and outdoors. 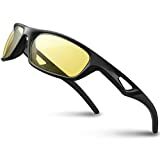 In addition to this, the lenses are polarized, offering strong UV protection even in bright sunlight, and constructed from shatterproof polycarbonate, to keep them in one piece and prevent eye damage even in accidents. The nose pads are easily adjusted to fit different face shapes, ensuring that the W WHEEL UP Cycling Glasses are comfortable for all users. Why We Liked It – The adjustable nose pads are a great touch, ensuring comfort for everyone, while the flexibility offered by the photochromic lenses reduces the effort involved in moving between different lighting environments massively. The RockBros Unisex Photochromic Sunglasses offer photochromic technology in an attractively designed package. Automatically-darkening to protect your eyes in bright conditions and lightening to allow clear vision in darker conditions, the RockBros Photochromic Sunglasses eliminate the need for spare lenses or alternative pairs of glasses for different conditions, allowing you to keep on wearing the same single pair of glasses in any light level. 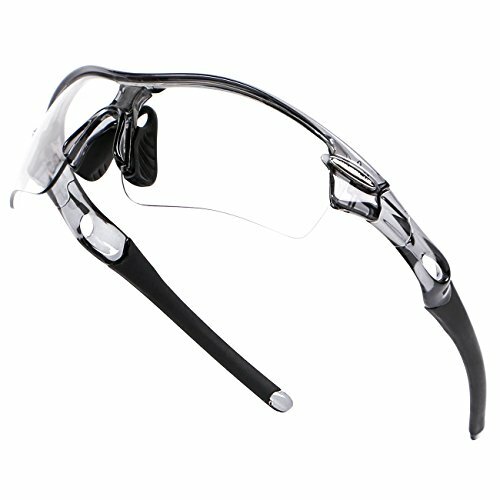 They also offer an adjustable nose pad system, allowing these cycling glasses to fit a wide range of different face shapes while remaining comfortable. This comfort is enhanced by the lightweight construction of the RockBros Photochromic Sunglasses, staying light on your face and reducing the pressure on the bridge of your nose. Why We Liked It – Photochromic technology removes the need for a second pair of glasses or spare lenses, enabling you to only carry a single pair of glasses for all purposes. The adjustability and comfort of the RockBros Unisex Photochromic Sunglasses is also a major advantage, allowing any shape of the face to remain comfortable through prolonged periods of wearing. 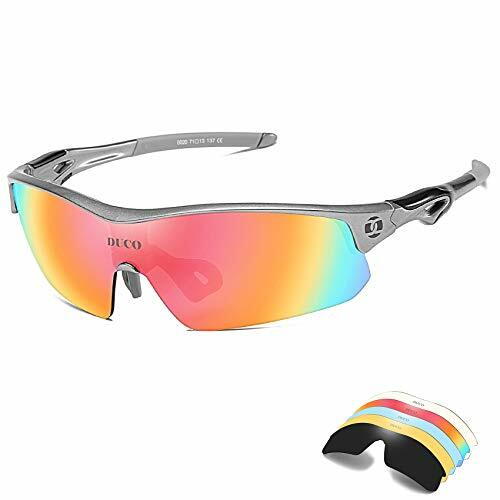 The DUCO Polarized Sports Cycling Sunglasses are an attractive, vibrantly colorful model of polarized cycling glasses, enabling you to keep your eyes safe while looking distinctive in a range of situations. The polarized coating protects your eyes, while the five included interchangeable lens options allow you to switch between specific types of lens for specific situations, such as night activities and driving, ensuring that you never have to compromise on eye protection or visibility no matter what situation you’re in. The nosepads are adjustable or even removable, allowing a comfortable fit no matter what face shape you have. The polycarbonate construction ensures that the lenses are sturdy, with the DUCO Polarized Sports Cycling Sunglasses never compromising on safety even while being consistently comfortable. Why We Liked It – Designed for flexibility and customization, the DUCO Polarized Sports Cycling Sunglasses have lenses for every occasion, as well as being easily adjustable to fit any face shape. This is a great all-round pair of cycling glasses. The Sekishun-Cho Outdoor Sports Athlete’s Sunglasses offer large, clear lenses made from shatter-proof polycarbonate to protect your eyes even in extreme situations. This clear lens keeps your vision in true color, never obscuring things with tinted filters. This means that the Sekishun-Cho Outdoor Sports Athlete’s Sunglasses are perhaps better suited to protective usage than to extended sunlit activities, as they do not offer much shade. The UV 400 protection of the lens coating, however, protects your eyes from 99-100% of UV radiation, meaning that these are useful in bright light even without preventing glare. The arms are rubberized, ensuring that these bike glasses remain on your face even in more intense circumstances. Why We Liked It – The Sekishun-Cho Outdoor Sports Athlete’s Sunglasses offer better, clearer vision than many alternative options, while still providing excellent UV protection and shatter-proof polycarbonate lenses for added safety, as well as rubberized arms to hold the glasses onto your head. The Tifosi Veloce Regular Interchangeable Wrap Sunglasses offer 100% UV protection on clear lenses, giving clear vision with no color-obscuring tint while providing strong UV protection in bright light. A range of interchangeable lenses is also available, enabling the use of shaded lenses for extensive activity in bright sunlight if needed. The frame is made from lightweight plastic, ensuring minimal pressure on the nose, and the ear pads at the ends of the arms are made from hydrophilic rubber, providing strong gripping power even when wet or sweaty. In addition to this, the Tifosi Regular Interchangeable Wrap Sunglasses come with a case included, protecting the glasses when not in use. Why We Liked It – Large clear lenses can be great for easy vision, but the option of tinted or polarized lenses as interchangeable extras adds some much-appreciated versatility, enabling the Tifosi Regular Interchangeable Wrap Sunglasses to be used in pretty much any environment. The GARDOM Photochromic Sunglasses only have a single lens provided as standard but are designed so that the lens can be detached and replaced with alternatives. The included lens is photochromic, adjusting to fit the light level of your environment. Darkening in bright lights and lightning in dimmer circumstances, the photochromic lens largely bypasses the need to replace the lens with any alternatives. The GARDOM Photochromic Sunglasses come with an attachment to hold myopic lenses, allowing prescription functions for the sunglasses without requiring an entirely dedicated pair of glasses. The lightweight construction of the frame prevents the glasses from feeling heavy even with a myopic lens fitted, keeping your vision as natural as possible. 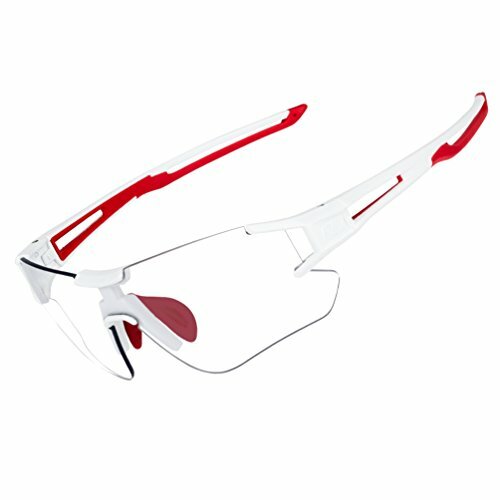 Why We Liked It – The only pair of cycling glasses on this list to explicitly be designed to hold prescription lenses, the GARDOM Photochromic Sunglasses are a solid choice for anyone in need of vision correction while they cycle, keeping your vision as clear as possible even during intense activity. There are three common types of lens available with most cycling glasses. Often, pairs with interchangeable lenses will come with one of each of these. The first of these is the standard shaded lens, familiar from most ordinary sunglasses. This provides exceptionally strong UV protection and helps to dim brighter sunshine during cycling in bright conditions. Secondly, there should be a clear lens for riding after dark, keeping your visibility as clear in low light conditions as possible. The third common lens type is the yellow lens, correcting color a little and brightening things up in gray, overcast conditions. Some models of cycling glasses come with other alternate lenses, designed for specific conditions, but these three are the most common options. Most of the cycling glasses discussed above are of a wraparound design, firmly clinging to your head during even windier or rougher conditions. Other designs are available, including wraparound options which clasp at the back for added security, but standard wraparound designs are far more common. Some of these frames also have full rims, while others only cover the top edge of the lens. Incomplete frames such as this offer easier lens replacement and a wider field of view, but may not be quite as strong and resilient as full-frame options. 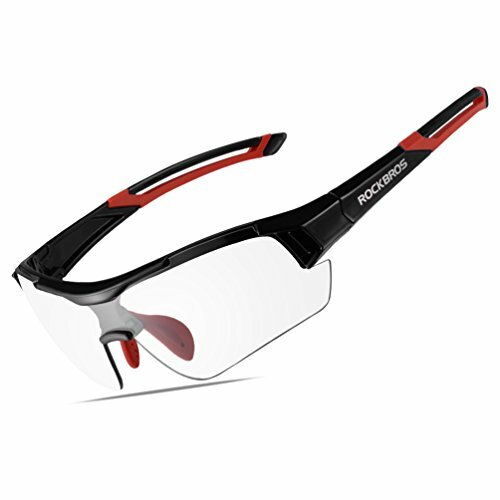 Prescription cycling glasses eliminate the need for either wearing two pairs of glasses or for switching between alternate options. They don’t have the same range of lens options as standard sunglasses, but some of the options discussed above have attachments to clip prescription lenses on in addition to the sun protection lens. These offer a better vision for those in need of vision correction but can be unwieldy and awkward. Many cycling glasses come with extra accessories as standard. The most important of these is the hard case, protecting your glasses from damage while you’re not wearing them. These can of course also be purchased separately, but they are a valuable feature and having them included can be very helpful. Straps and cleaning cloths are also worth considering. A neck strap can prevent you from losing your glasses, while a microfibre cleaning cloth can keep your glasses clean and scratch-free, keeping your vision clear and unimpeded and preventing the fogging that can be caused by cleaning with a more abrasive material. Most of these models of cycling glasses are designed with exactly this in mind, the wraparound sunglasses providing a firm grip on the head even in more extreme conditions. If you’re particularly worried about this, though, straps and attachments are available to help your cycling glasses stay in place through any kind of weather. It is also worth considering extra features such as rubber ear grips, which offer a stronger grip on your head without the inconvenience of a separate strap or clasp. Photochromic lenses automatically change depending on the light level surrounding them. In bright light, photochromic lenses will darken automatically, providing shade and protection similar to that of regular sunglasses. Moving to darker conditions will cause the photochromic lenses to become more transparent, allowing more light through in lower light conditions. This eliminates the need for multiple lenses or pairs of glasses, allowing you to see clearly in any light level without needing to change your equipment as you transition between environments. This allows more flexibility in the use of the cycling shades, protecting your eyes in a range of conditions with minimal effort or thought required. The selection of lenses available for several of the models of cycling glasses discussed above enables use in a wide range of different weather conditions, with various lenses ideally suited to cycling in different conditions. Photochromic lenses are ideal for cycling in a variety of different light levels but do not offer any benefits for different weather conditions. Clear lenses will give protection from wind, snow, rain, and bugs in any situation, but only limited shade for your eyes in bright sunlight, although most should still have reasonably strong UV protection. Darker lenses will protect from bright sunlight, but will conversely impede vision in lower light levels, as well as often tinting your vision with different shade colors, distorting your vision from true color. The market for cycling glasses in 2019 is a wide one, but the list above breaks down some of the best available right now, helping you to get a sense of exactly what you’re looking for when you’re in the market to buy a pair of bike glasses. Your personal criteria for the ideal pair of cycling glasses may vary from anyone else’s, but as long as you consider what’s most important to you when you’re buying, you can easily find a pair you’re happy with. It’s important to remember to only buy from reputable brands, however, as off-brand glasses could easily shatter, causing injury. The information in this list should help you to buy with confidence, entirely certain that you’re buying the best pair of cycling shades for your personal needs, no matter what your lifestyle or intended use for these glasses is. Whether you’re an intense, enthusiastic cyclist or a more casual wearer who intends to primarily wear them around town, there is something out there for you and your preferences.